Captain Marvel Designs Now Available! Exclusive cases & skins featuring the Marvel's sentient alien Symbiote. Protect your devices with the strength and endurance of Spider-Man. Limited edition character art & authentic movie designs. Cases & skins featuring the Merc with a Mouth. From vintage comic-book covers to the latest movie re-imagining of Marvel characters, find your favorite Marvel character and shop all available case and decal skins online. Marvel and Skinit have collaborated to bring you authentic and limited edition phone cases and decal skins to protect any device with a unique comic-book style. 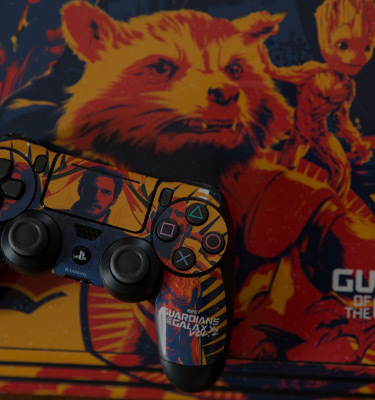 Whether you're a fan of the Golden Age of comic books or you've recently become a fan of the Marvel Cinematic Universe - Skinit has captured the essence of Marvel Comics. From Captain America iPhone cases to Spider-Man PS4 decal skins, personalize any electronic device you have and make it yours with Skinit x Marvel.